and What are its Negative Effects? The Uninvolved Parenting style (often referred to as neglectful parenting) as the name implies, the parent is totally disengaged and emotionally uninvolved in their child's life. There is little if any expression of love and affection. The uninvolved parenting style is low in parental responsiveness (the nurturing aspect of the child) and low in parental demandingness (control over the child). Often these parents provide only the basic needs of food and shelter. Opportunity for sports, recreation and ordinary pleasures in life are too often non existent. Routinely these parents are too busy or self-involved to support their child in school functions, teach life skills and encourage socially acceptable behaviour. "The School Of Hard Knocks". All or perhaps a combination of these possible effects can emerge from this parenting style. As sad as it is, there are many parents uninvolved in their children's lives. Statistics show that region, cultural, education and socioeconomic status often play a role in this parenting style. Some cases are hereditary, parents, themselves raised in a negative environment with no expression of love, guidance, support or positive communication are prone to modelling this parenting style. Often you will see this style used unintentionally by materialistic parents so busy with their own lives, work or business, they just don't realize their lack of involvement in their child's life until it is too late. Others, being immersed in their own negative lifestyle, often due to drug or alcohol addiction have little competence or desire to take responsibility for raising their children. Unfortunately in today's society there are far too many troubled and dysfunctional families and the reasons are plentiful. We understand that unfortunate circumstances can foster temporary parental misguidance and empathy goes to those battling mental disorders or drug and alcohol addiction… however, parental responsibility must ultimately focus on the best interest of their child. Parents too involved in work or business need to remind themselves how quickly the years pass, time is never recovered. It is important for parents to periodically prioritize their lives to stay focused on their family values. Parents must be fully engaged in all aspects of their child's life. "Your children are a blessing, more precious and valuable than anything in this world and must be cherished, their innocence protected, and every opportunity for a positive and successful life afforded to them". 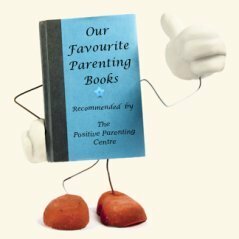 If you have not yet read our condensed definitions of the other parenting styles, we strongly suggest you read them prior to attempting to define your own parenting style. 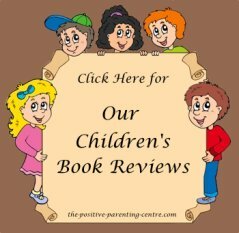 Go Straight To: "Positive Parenting"
Return To: "Types Of Parenting Styles" From: Uninvolved Parenting Style"